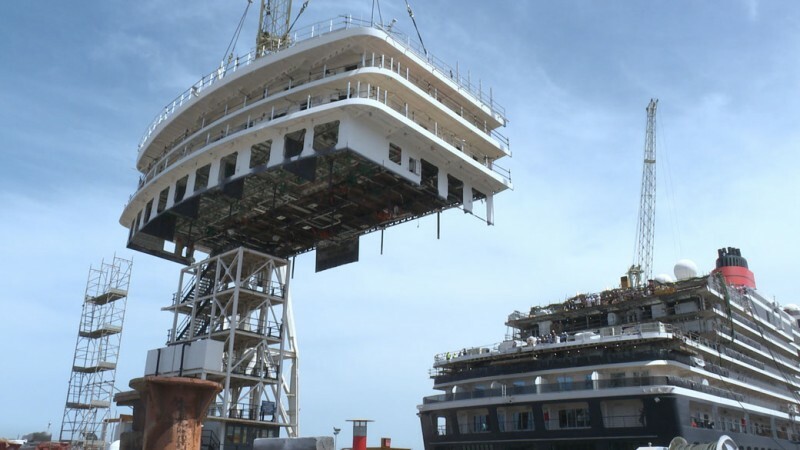 What happens if you invest £34 million, some large sections of steel and a very big crane into a cruise ship refurbishment? Cunard’s Queen Victoria gets a whole new set of suites and a profile that looks more like her younger sister, Queen Elizabeth. During a four-week dry dock in Palermo, Sicily, Victoria is literally being carved up to enable the addition of a new stern section containing extra cabins and an extended Lido pool deck. 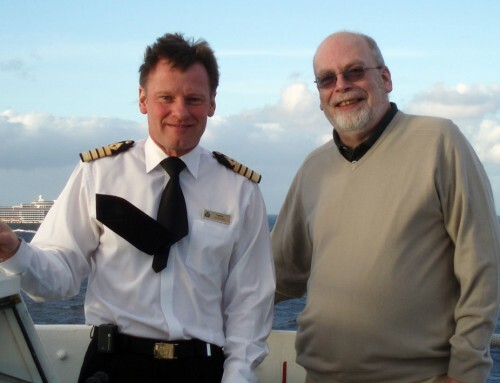 Elizabeth, launched in 2010 – three years later than Victoria – had design changes that gave her the extra cabins and Britannia Club accommodation right from the start. Five of Queen Victoria’s suites have been completely re-designed to provide additional space and to add whirlpool baths. Cunard’s UK boss, Simon Palethorpe, said the spending on Victoria, together with last year’s “remastering” of QM2 amount to a £120 million investment. “The expectations of luxurious sea travel are constantly evolving, and we’ve introduced many upgrades with this refurbishment. Some are grand, some subtle, but all are carefully designed to exceed our guests’ expectations. We have introduced 43 Britannia Club Staterooms, bringing the Queen Victoria in line with the rest of the Cunard fleet. We’ve also refreshed every stateroom with new large flat screen TVs, tea and coffee making facilities and new soft furnishings. “In addition, we’ve transformed several areas of the ship, such as the aft lido sun deck, the Winter Garden and a number of the ship’s bars, to offer our guests more choice than ever and an even more refined and luxurious experience,” he said. Queen Victoria set out for Palermo at the beginning of May, as soon as she arrived back in Southampton from a three-month world cruise. 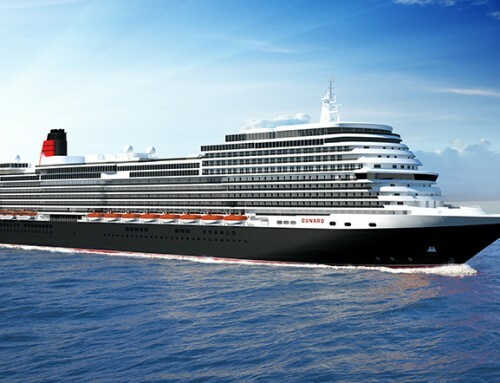 Work is scheduled to be complete in time for a four-night cruise to Amsterdam and Bruges, leaving Southampton on June 4. From July to November, the ship will be operating fly-cruises in the Mediterranean.